I’ve pimped my blog out to a good cause for once! My little brother – He Who Is Too Good To Be True – is donating his 20th birthday to fundraise for The Water Project and he needs everyone’s help! If you follow me on Twitter/Facebook/Pinterest or are just subscribed to this blog you will probably be submitted to daily updates on the fundraiser and multiple pleas for donations. You know how shameless people can get with these things. But, if you donate today…you will still not be exempt from these promotions so best to donate a couple more times so my brother hits his target sooner rather than later. To tell you more about the cause itself, here is a message from the Bro. 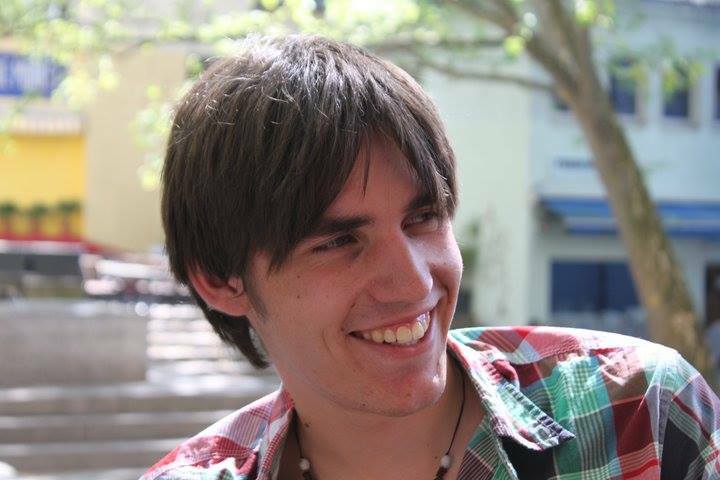 Hi there, my name is Jay Burton and I’m a young European student of Environmental Management living in Germany. Over my two years of studying here so far, I – and my classmates – have been learning a lot about the problems the world is facing. I’m sure you’ve all had enough of all these awareness campaigns trying to scare people into believing in Climate Change, but sadly these problems are very real and very present, even today. I’ll try to make this short. Even though Climate Change is a global issue, it will be felt worst in developing countries where people depend on rain-fed agriculture or precious livestock to get by. Increasing heat and population growth will only make the situation worse, and the poorest people will suffer the most because of it. Here in Europe we take most things for granted. I’m not blaming anyone or anything, it’s just the way things are. Water is available in every building, and most of us have enough money to buy the food we need and the roof over our heads. During my studies, we all learn about environmental issues and how international cooperation could help mitigate and adapt to Climate issues, but I also believe that through individual actions we can make a difference. I’ll be turning 20 on the 13th of July, and instead of asking friends and family for presents, I want to ask for a small amount of money to go towards a bigger cause. I was lucky enough to be born a European and I have absolutely everything I need in life, others do not. I chose to start a fundraiser aiming to build a well in the areas of Africa that need it the most. Water is one of the cheapest resources for us here in developed countries, and yet it’s by far the most important. Today, 1 billion people are struggling to access water. By 2025 that number may rise to 2.4 Billion. I find that number ridiculously high, and yet with a little help from us it could be greatly decreased. I want to show people everywhere that even a little initiative like this can lead to big global differences. Our borders are getting thinner and thinner, and it’s time to start thinking about are neighbours who honestly don’t deserve to live the way they do just because of the randomness of where they were born.